At the valedictory session marking the second anniversary of the 8th Senate yesterday, the controversy over President Muhammadu Buhari’s failure to remove Mr. Ibrahim Magu as Chairman of the Economic and Financial Crimes Commission was reopened. 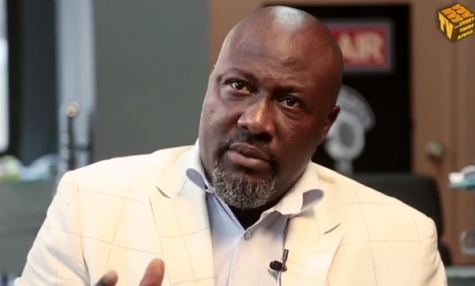 Senator Dino Melaye, in his remarks at the session, accused President Buhari of selectively applying the law by retaining Magu as Acting Chairman of the EFCC. The lawmaker said this in the presence of prominent guests at the special session, including two former Senate Presidents, Pius Anyim and Iyorcha Ayu; Governor of Kebbi State, Senator Atiku Bagudu; Chairman, Board of Trustees of the Peoples Democratic Party, Senator Walid Jibrin; National Chairman of the All Progressives Congress, Chief John Odigie-Oyegun; and wife of the incumbent Senate President, Mrs. Toyin Saraki. Melaye urged the Senate to take a decisive action on Magu’s retention. He said, “The persecution we went through in the first two years must not continue in the second half. Mr. President, in leading us in this second half, you must put on your seatbelt; it is dangerous to drive without a seat belt. “Where we need to speak the truth as senators, we must speak the truth no matter whose ox is gored. We must begin to identify that there is a uniform law in the Federal Republic of Nigeria. No longer shall we allow the selective application of the law of the land. “Mr. President (Saraki), we have passed some people on the floor of this Senate and these people that we have also disqualified by confirmation have been replaced by Mr. President (Buhari). That means that the President of the Federal Republic of Nigeria, transparent Muhammadu Buhari, recognises the powers of the Senate to confirm. The Senate had rejected Magu’s appointment based on an indicting report by the Department of State Services. The legislature had also asked the President to nominate someone else as head of the anti-graft agency. But the Presidency had insisted on Magu, a development that caused a face-off between the executive and the legislature.